Shame is one of the most painful emotions that there is. 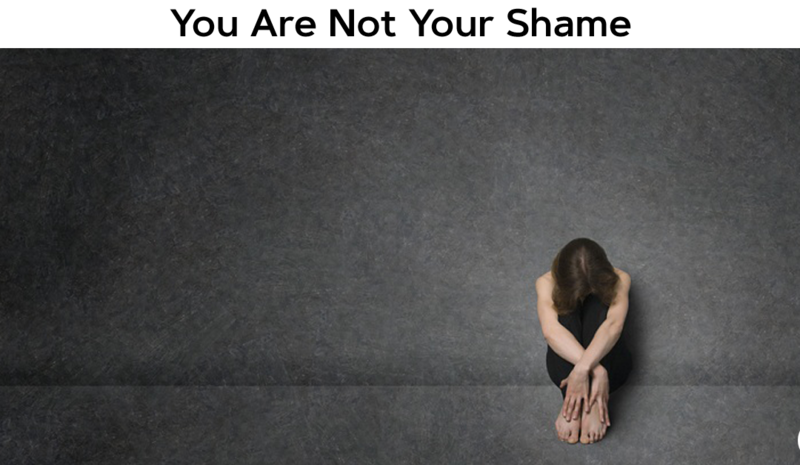 Our shame, which is generally birthed from some childhood event, teaches us to hide who we truly are because we fear that who we are is fundamentally flawed. Our shame leads us to believe that people won’t like us if they know who we truly are at our core. Our shame is what creates our external persona and robs us of authenticity. Believing that we are our shame, fundamentally flawed, need fixing, are not to be trusted, and must hide, we dull down our desires and don’t strive for amazing. Why? Because we don’t believe we deserve amazing or can achieve amazing. Above all, we don’t want to feel the pain of our shame if we risk something and fail. The time bomb of our shame is ticking loudly and keeps us stuck and playing small. It leaves us paralyzed, fearing rejection, expecting disappointment, hiding who we are. It keeps us from reaching for the life we dream of and know we are meant to live. Every time we bite our tongue, we swallow our integrity. And when we are out of integrity we don’t feel worthy and deserving of having a great life. Fearing that we are our shame and that others will reject us if they know our “horrid truths,” most people try to hide or run away from their shame. They get busy in other areas of their life, trying to distance themselves from their shame. However, as is true with anything we fear or try to get away from, it is when we resist something that it holds on tighter. The most potent antidote for toxic shame is sharing our secrets with others. It is when we speak our truth and share our shameful stories that a weight is lifted and an incredible amount of energy is unleashed. Suddenly there’s space for compassion and forgiveness. 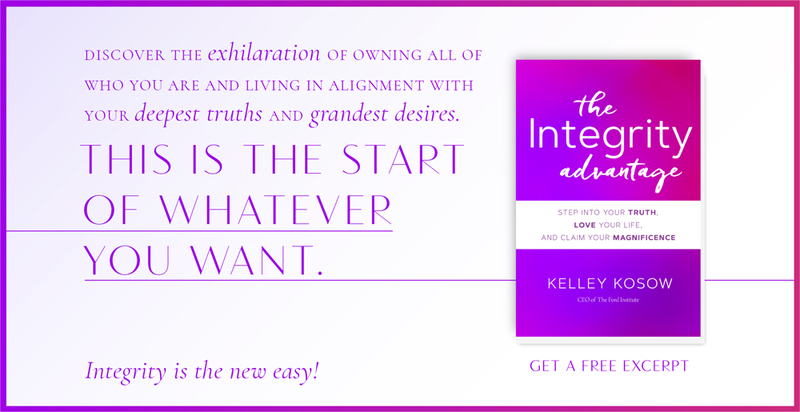 This is why after every workshop I lead, people are amazed that they feel lighter, are walking taller, and feel an inner radiance emanating from within…it is because they have released themselves from the shackles of shame. This week I invite you to find someone you trust completely – whether it be a friend, family member, coach, or mental health professional – and share a piece of your own shame. Begin with whatever feels comfortable. Baby steps are welcome. The point is to give yourself the opportunity for deep connection and the support of another. We all can rewrite our stories of shame. We can create new interpretations for the things that happened in our past and choose to view that which we have shame around as something that happened to us instead of the totality of who we are. Become present to the shame you are carrying. Start seeing each story of shame as a ball and chain that you are lugging around. Begin looking at what you made those situations means about you and the shame that was birthed. Next, allow yourself to see how those meanings and your shame has impacted your life. Find someone you trust and share one of the secrets you have been carrying around that has been weighing you down. Take time to feel the impact of sharing this piece of you and what opens up as a result.